DURING the 2012/13 financial year, 855 households across Northern Ireland applied for social housing because they were homeless or threatened with homelessness as a result of domestic violence. Of these hundreds of cases, 18% were provided with temporary accommodation by the Northern Ireland Housing Executive (NIHE). The other 82% had to make their own arrangements or the NIHE determined that it did not have a statutory duty to provide temporary accommodation. For those successfully placed in a new home during 2012/13, the average wait was 21 months. Almost two years. This is a huge issue for the Housing Executive and that is clear from the millions of pounds it currently spends annually on issues relating to domestic abuse. This includes funding emergency accommodation in refuges, part-funding a domestic and sexual violence helpline and paying for safe ‘Sanctuary Rooms’ to be fitted in properties where people are at risk of violence. Twenty-four Housing Executive properties have been fitted with Sanctuary Rooms which are safe rooms within homes where people can call and wait for the police if they are in danger. The aim of the scheme is to protect families and prevent them becoming homeless. A decision on the work to be carried out is taken by the NIHE and the PSNI in consultation with the victim. This can include adding strong locks and hinges to doors, fitting collapsible security grills, having an external wall mounted letter box, smoke alarms and a fire retardant strip being placed round door frames to protect rooms from fire and smoke. A mobile phone to call the emergency services is provided and householders are advised to keep it in the Sanctuary Room at all times. The average cost of the work is around £1,500 for each property. The scheme was piloted in the Antrim/Ballymena area in 2007 to provide an option at Multi-Agency Risk Assessment Conferences (MARAC) for victims of serious domestic violence in determining the best housing solution for victims. The scheme was then implemented across Northern Ireland in 2011 and has been put in place in a total of 24 properties to date. The NIHE said that the rooms allow people at risk of violence to remain in their homes. As well as reducing repeat incidents of domestic violence, the benefits include that victims of violence can stay close to family and friends and children will not need to move schools. The rear fence raised, outdoor sensor lights and CCTV cameras front and back. A mortice lock fitted to the front and back doors. 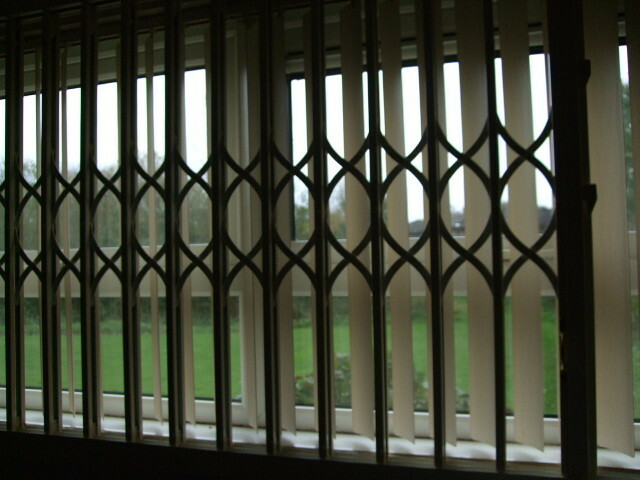 Film – a third the strength of steel – fitted to the front and rear door glass. Push button window locks fitted to ground floor windows. A screen for the window in the kitchen. A solid core door fitted for the sanctuary room. A mobile phone provided with an emergency PSNI contact number. The Housing Executive confirmed that during the 2012/13 financial year a total of 171 applicants and transfer cases with a homeless reason recorded as ‘battered partners/violence’ were rehoused by the NIHE and housing associations. During the same time period the NIHE made 87 referrals to temporary accommodation provided at Women’s Aid refuges. NIHE stressed that many women who suffer domestic violence do not go to refuges and instead make their own arrangements or are placed in other temporary accommodation in NIHE hostels or the private sector. The Housing Executive does not record the reason for placement in these instances. Women’s Aid refuges also take many self-referrals, which are not recorded by the Housing Executive. In 2012/13 a total of 855 households presented to the Housing Executive as homeless with the reason of domestic violence and made an application for social housing. Following investigation by the NIHE, it accepted that it had a statutory duty to provide accommodation in 720 of the 855 cases. In 2012/13 18% of all homeless presenters were placed in temporary accommodation. NIHE said that the remaining 82% either made their own arrangements – for example stayed with family – or it did not have a statutory duty to provide temporary accommodation. The “median time” for applicants deemed as homeless because of domestic violence to be allocated a dwelling during the year 2012/13 was 21 months. We asked the Housing Executive how much it spends annually on issues relating to domestic violence. There are 112 units in emergency refuges throughout Northern Ireland currently being funded by Supporting People Programme administered by the NIHE at a cost of £2,377,851. Units can accommodate two or more people. Supporting People also funds a “floating support service” throughout Northern Ireland at a cost of £1,486,852. This service is designed to provide practical and emotional support to families affected by domestic violence who choose to remain at home or in a community setting situation. The NIHE also helps fund, along with partner funders, The Domestic & Sexual Violence helpline at the rate of £113,000 per year. The Sanctuary Scheme has cost approximately £36,000 since it started in 2007. There are also substantial costs associated with NIHE staff assessing homeless applications, advising homeless applicants on housing options and arranging placements in temporary accommodation but the NIHE said that these costs are not readily available.